Avnet Technology Solutions has created a new mobile data center solution based on EMC's VSPEX architecture. It will be available for all U.S. and Canadian solution providers. The new mobile data center solution for EMC VSPEX has been designed to be "ready to roll" wherever an enterprise customer needs a temporary setup for a data center. The mobile data center can be quickly deployed and will be available to work in extreme harsh and extreme environments to support business continuity, data center moves, disaster recovery, large-scale special events and/or remote field locations. 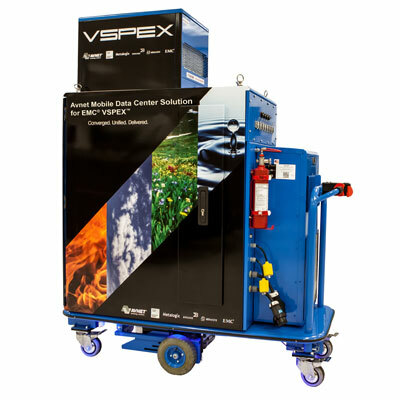 The mobile unit features a Full-Featured VSPEX-based data center with the main technology from EMC and other technologies from Cisco, VMware and others. All of the technologies are configured within the enclosure, which is sealed against the environment and includes an electric motor that propels it at up to 3 miles per hour. Cloud computing is becoming very prevalent in today's computing world. Users of the cloud vary from simple beginner users to Fortune 500 companies. 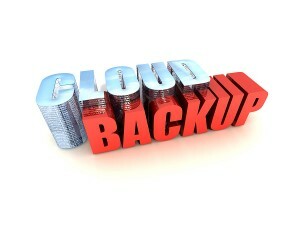 In fact, many large companies are looking to the cloud for backups and archives of their data. I've recently read a very unique article on this topic, A Novel Approach to Automated, Secure, Reliable, & Distributed Backup of MER Tactical Data on Clouds. The article discusses NASA's MER (Mars Expoloration Rover) Project and how it became the first NASA mission to incorporate a public cloud into it's daily mission-critical operations in 2010. The operators and scientists have continued to use the cloud based project since the launch. They have continued to have 100% availability on tactical plan saves, searches, and retrieval. The MER project has also pushed Tactical data onto lower cost storage systems in the cloud environments, which still continue to deliver cost savings, durability, and reliability. NASA is clear-cut proof point that cloud storage provides a compelling alternative to traditional backup processes. The data transfer rates can support speeds that exceed common data backup strategies such as using an external hard drive and DVD archiving. The cloud provides a seamless integration of archiving, compressing, and encryption, along with virtually unlimited storage. It also adds to the convenience of the entire backup process for the cloud user. "Cloud Computing is becoming a more popular choice as an external business tool, personal computing, and also as an extremely better way to manage IT in the enterprise. But because Cloud comes in public, private, and hybrid models, all will face the same security and compliance challenges." We are moving to a more Cloud-enabled future, however, security remains a particular issue for all adopters of the Cloud, regardless of the infrastructure of choice. One of the biggest issues facing Cloud users is data residency. This is particularly an issue for users of Public clouds. Public cloud is a major concern because the location of where the data is stored cannot be guaranteed, unlike Private cloud, where you know where you know at all times where data information is stored. This issue has an increased exposure to possible security breaches. "Clearing the clouds away form the true potential and obstacles posed by this computing capability." This was a great collaborative article covering all aspects of cloud computing. It was intended to reduce the confusion of Cloud Computing by clarifying terms, providing simple figures to quantify comparisons between cloud and conventional computing, and identifying the top technical and non-technical obstacles and opportunities of cloud computing. The article states that Cloud Computing refers to both the applications delivered as services over the Internet and the hardware and systems software in the data centers that provide those services. It is also explained that the data center hardware and software is what we ultimately will call a Cloud. The researchers and writers of the article feel that cloud computing has the potential to transform a large part of the IT industry, making software even more attractive as a service and shaping the way IT hardware is designed and purchased. With cloud computing, developers with innovative ideas for new Internet services no longer require the large outlays in hardware to deploy their service or even the human expense to operate it. Moreover, companies with large batch-oriented tasks can get results as quickly as their programs can scale, since 1,000 servers for one hour costs no more than using one server 1,000 hours. This flexibility of resources, without paying a premium for larger scale, is unprecedented in the history of IT. VMWare has recently announced the recent acquisition desktop service provide Desktone, in purpose of deploying a new cloud based PC for the price of a laptop. Google itself. The Chromebook has also been Amazon's #1 selling laptop since its release as well.With no major internal parts in the laptop, Google's Chromebook has a very convincing price of $280. This, in my opinion, is definitely a good sign for VMWare. Because of the success of the cloud-based machine offered by Google, VMWare stands to be front runner for delivering a DaaS and Hardware integration at a very affordable and competitive price. Utilizing the virtualization technology that VMWare is proudly known for, their business and client growth opportunities are sure to grow already with just the already built clientele that they work with. "Big data technology is a big deal for storage shops, and a clear understanding of what it means -- and doesn't mean -- is required to successfully configure storage for big data apps." Since being introduced to mainframe technologies, I quickly became aware of the importance of BIG DATA and the almost "gold-mine" like qualities that the actual data can possess. There are valuable benefits within the stored data that can render a very lucrative return for companies and corporations if analyzed and handled correctly. Companies and corporations of sizes can benefit from performing analytics on big data to gain an advantage over their competitors. With the data, analysts of the organizations can determine determine which products sell well with other products, what days and times customers use their debit cards the most in certain merchant stores, or which medications in a general area are used more frequently. Of course there are a plethora of ideas and concepts behind the storage and information of big data, but there are still plenty of misconceptions on what exactly BIG DATA is. The hype over big data is steadily growing, especially with storage cloud vendors pushing the idea of the technology to customers of all ranges; everyday household users to large corporations. The misconception of what exactly the technology is or does is shared by everyone in that range as well. The article on the Big Data myths is very informative and I feel that no matter your expertise or experience with Big Data, the information within the article can be very beneficial and informative to you... Check It Out Here!!! EMC Looks to take Over IBM's Mainframe... Storage that is!